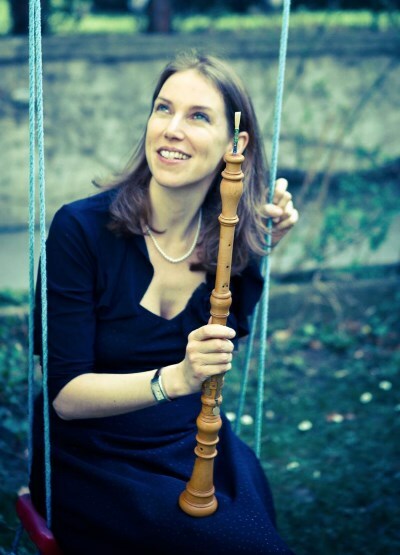 Elisabeth Baumer, born in Klagenfurt (Austria), completed her baroque oboe studies with Paolo Grazzi at the Civica Scuola di Milano and at the Conservatorio F.E. dall’Abaco in Verona, as well as with Marie Wolf at the Konservatorium Wien Privatuniversität. She is a stable member of a number of ensembles, including the Accademia Bizantina (Ottavio Dantone), Concerto Stella Matutina, Barucco, Capella Leopoldina and the Bach Consort Wien. She contributes permanently to the complete Bach cantatas concert series at the Wiener Konzerthaus, under the direction of Luca Pianca. She works regularly with the Les Musiciens Du Louvre (Marc Minkowski), the Orfeo Barockorchester (Michi Gaigg), and the Wiener Akademie (Martin Haselböck), among others. Elisabeth Baumer performed in the main concert halls in Europe, South America and Japan. She contributed to a number of CD recordings, including for Concentus Musicus under the direction of Nikolaus Harnoncourt or Orchestra Mozart (Claudio Abbado). She is also invited to teach, for example at the Austria Barock Akademie or the Universität für Musik und Darstellende Kunst Graz. Living in Vienna, Elisabeth Baumer performs regularly at the Wiener Konzerthaus, Musikverein, Theater an der Wien and the Staatsoper. She founded her own ensemble “Affinità – Ensemble für Alte Musik”, which focuses on the winds repertoire of 17th and 18thcenturies. With Affinità, Elisabeth Baumer leads her own series of chamber music concerts in Vienna’s Josefstadt district. The focus of the masterclass is on oboe repertoire in Italian style, including how to learn/improve free ornamentation. Elisabeth will also bring different tools and material for reed making, such as gouging machines, shapers and cane that you are welcome to use.